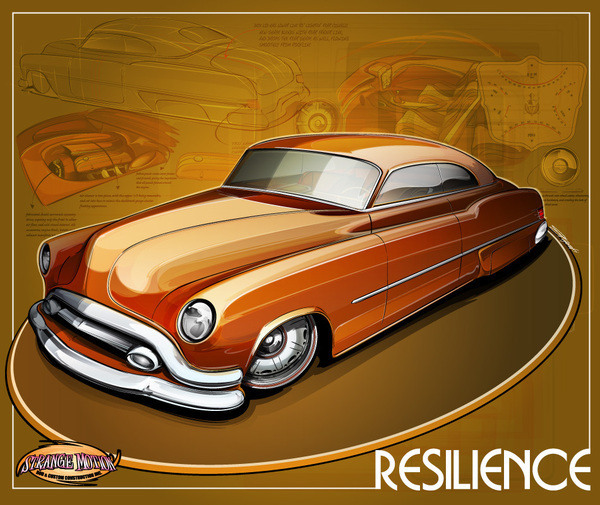 Project rendering for full-custom vehicle based on a 1952 Buick. The finished car debuted this year at the Grand National Roadster Show in Pomona, CA, and is currently touring the United States. All artwork created in Illustrator CS2 from original pencil sketches. Project rendering for full-custom 1952 Buick Riviera (45R).